Discussion in 'Portable Headphone Amps' started by monini13, Aug 9, 2018. Hey everyone! Joseph over here and to be succinct, I've been working with @thatonenoob to provide tech/audio reviews and updates for the last year and a half. I'm an audio enthusiast myself, and about a month back, I received an invitation by the Sony Singapore Team to join a Sony Experience event alongside the Hong Kong High End Audio Visual Show. I'll be posting more updates on this thread as the event moves along, so feel free to ask me any questions. So this digital music player is more transportable than portable, cause its pretty big. Sony's emphasis on the design is for headphone users, since they already have a dac/amp, they did not make this one come with a full range of ports, arguing that if people wanted more port options they would just get Sony's TA-ZH1ES. To give a rough idea of how large this device is, we can look at this photo where the MDR-Z1R is leaning on the DMP-Z1. It is comparable many full size solid state desktop amps. 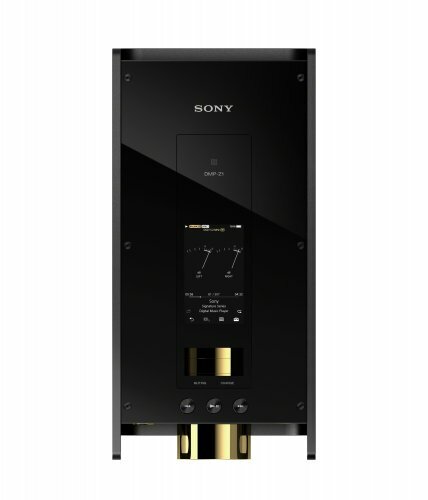 Sony's aim to obtain a clean, detailed, and untainted sound is achieved through the use of dual DAC's, battery power supply along with a high end analogue rotary volume controller. As seen in the specification sheets, the use of AK4497EQ DAC along with the TI TPA6120 amp chip; through this they hope to portray accurate detail and source signal received by the headsets. 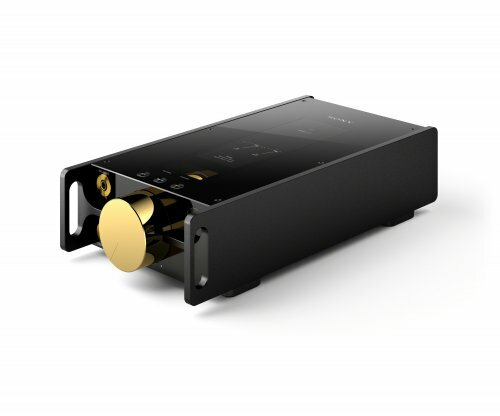 This music player also features a full analog amplifier with a very refined volume control that the engineers claim can maintain audio signal purity even at low volumes. They have also used li-ion batteries for a clean linear power supply, with a separate battery for the built in digital circuit. 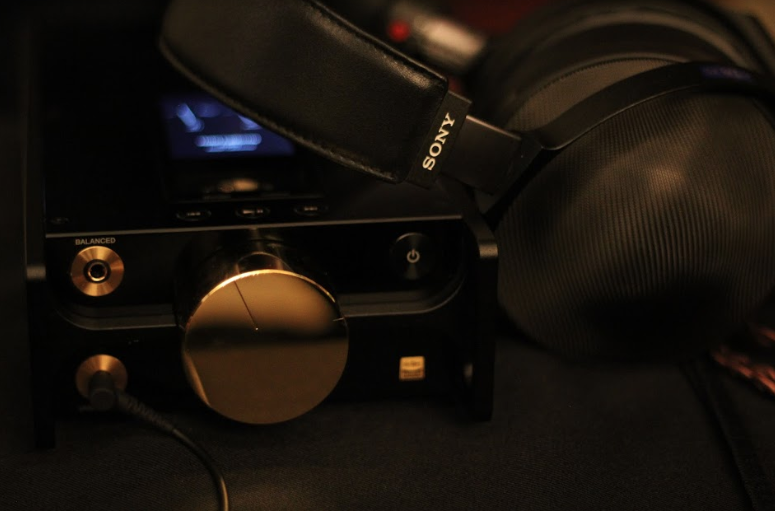 Using good quality lithium ion batteries, which can be thought of as a decent substitute for a linear power supply, the engineers aim to produce a clean headphone output that is free from distortion, as well as provide powerful amplification capable of driving a wide range of headphones. So the battery configuration is something that was planned out by the engineers; the separate power powers for digital and analogue circuits means less noise which can translate to a blacker background. The battery cells for the analogue circuit ensures linear supply of power to the volume coil, which can deliver powerful sound that is also clean. Overall, this is a premium product and Sony strives to embody the Japanese spirit where quality materials are found not only on the outside of the product but also on the inside. While getting ready to test this amplifier with the supplied MDR-Z1R, one of the event handlers was very excited to emphasise that the internal wiring is exactly the same as the kimber cables found attached to the Z1R, maintaining the notion that every section of this product is made of the final materials. The outer body is made from aluminium monocoque chassis, which brings out the sleek and smooth finishing seen on this product. Perhaps something I find a little peculiar is that everything the engineers put a lot of effort into making this product sleek, but its overall weight and build size still makes it kind of a clunky product. But for now, stay tuned for more updates on this thread! Sp12er3, purk, raypin and 1 other person like this. Mm..price is shocking......at first. Until you realize that a certain European brand fetched, at one point, over EUR 5,000.00 for a certain no-frills, ultra-portable DAP. Nevertheless, the launch price for this DMP/DAP is awe-inspiring. I’d love to audition this at some point in the near future and see (actually hear) why Sony priced this at a super-premium level. Looks gorgeous though. Sp12er3 and alphanumerix1 like this. Might be premature to judge, but USB 2.0? microSD-based storage? Is this thing steam powered? The shape looks really bulky for something that's meant to be portable. 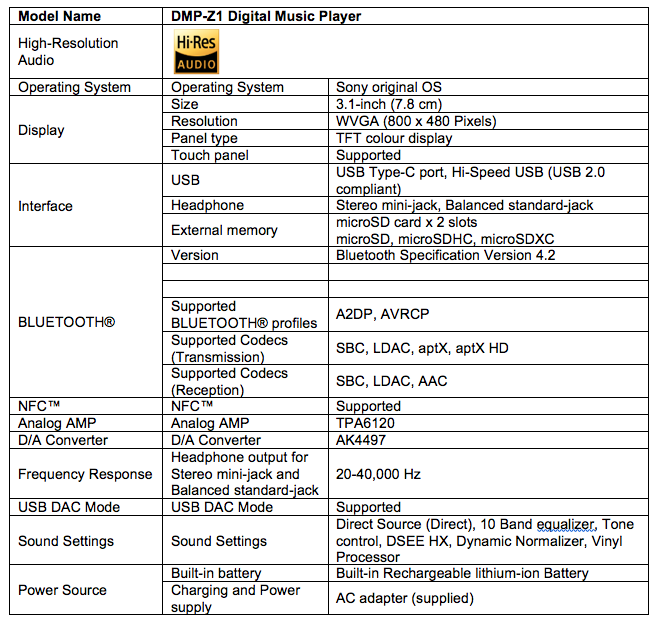 From my guess, USB 2.0 is to be compatible with a wide range of devices with USB Audio. Deftone and Sp12er3 like this. 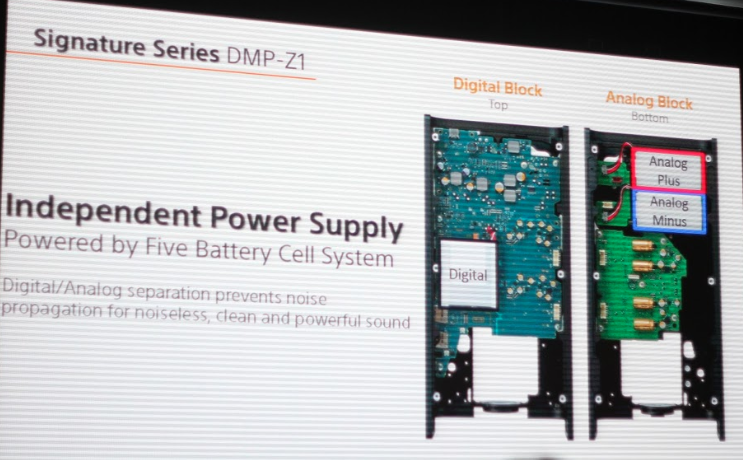 There is 256GB of onboard flash storage in the device, the microsd is just for extra external usage, mostly for compatibility with DAPs on the market with the idea that you can pop your card from your player and plug it into the DMP-Z1. dougi555 and Sp12er3 like this. Official product description in English. I don't think this is even originally considered for being transportable. Note the battery power/delivery system is being emphasised as supplying clean power, rather than making it movable. Having its own power supply seems more like a side effect rather than the intended goal, and further supported with the shape of the chassis (you REALLY don't what that knob damaged) and the price point of the device.